Rather than wait around for micro-apartment developments to spring up in the US’s biggest city, the good folks over at Curbed did a round up of New York’s ten tiniest apartments currently up for sale. If you recall, the adAPT NYC competition permitted building smaller than the current minimum size of 400 sq ft. This size regulation dates from the late 80s, so the city is actually loaded with older apartments much smaller than 400 sq ft–perfect places to build your own micro-apartment. None of the apartments on the list are larger than 325 sq ft. If you’re from New York, you will only be slightly mortified by the prices. If you are not from there, you will probably wonder how anyone can afford to live there at all. 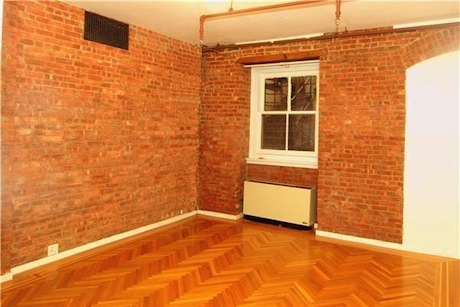 We thought this Tudor City apartment (above) pretty sweet. At $295K, it’s only slightly absurdly priced ($983/sq ft). 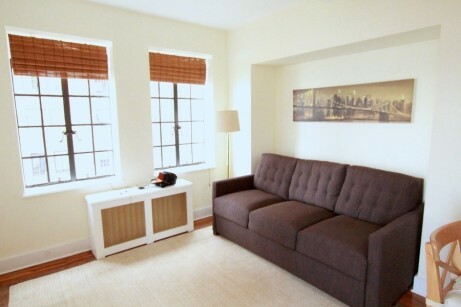 It has tons of light and a convenient Murray Hill location. It has a $902 monthly maintenance, which is pretty steep for a place that small. 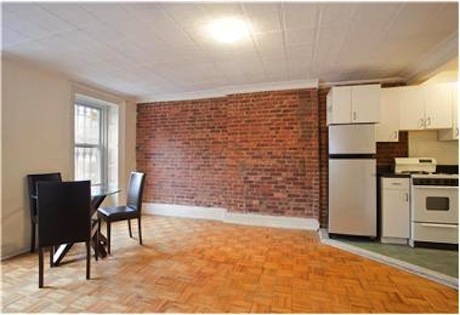 This 325 sq ft Greenwich Village apartment isn’t half bad at $335K ($1030/sq ft). It has okay light, an actual bedroom and is in a great location. 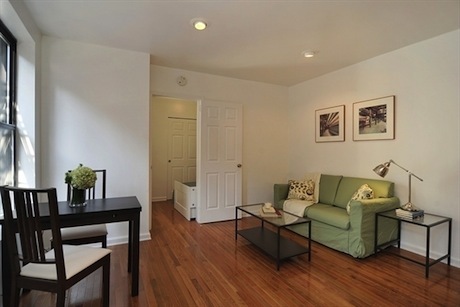 However, like the Tudor City apartment, it has a relatively high monthly maintenance fee at $825. The best of the bunch is this 300 sq ft apartment on 82nd Street right off Fifth Ave. It’s selling for $700K, or $2500/sq ft. Features include views of a stairwell and exposed brick and sprinklers. The prices of apartments are a bit unnerving. They are comparable or above prices for family homes in most parts of the country, yet the sizes would suit singles or rare couples who don’t mind being within arm’s reach of one another all the time. They seem to validate David Byrne’s claim that the city has become a haven of the one-percenters. Earlier this month the city elected Bill de Blasio to be its new mayor. De Blasio, according to some, will make housing development–affordable and otherwise–a key part of his mayorship. With an estimated 600K more people coming to NYC by 2030, this is a good thing. We hope he continues the de-regulation of small construction Mike Bloomberg began with adAPT, creating cost-effective housing solutions to offset the current home draught. Something has to change. Too many people with too few apartments will continue the current situation, where even the most modest apartments are out of reach to most. interiors to justify this habitat politicians. Never relocate small interiors bogus charade!